The "SupraSelf" is an extraordinary aspect of who we are and what it means to be a leader. This little known, yet very real part of our personality is capable of producing exponential results in all areas of our lives. Why this extraordinary inner resource goes virtually untapped is because it is only available to those who are willing to set their egos aside and venture beyond the bounds of who they think they are or believe themselves to be. Unlike the ego-self, which is made up of our titles, roles, history, beliefs and desires, the SupraSelf exists beyond the "me, my, mine" paradigm. Supra means "above and beyond" and represents an exponential aspect of our nature that is not defined by the contents of our ego, or by our familiar personality traits. Rather, it is a larger context of self, or "dynamic container" that holds all the material that makes up our ego and our personality. Because of its contextual nature, the SupraSelf possesses a measure of quantum power the ego-self can never match. To clarify, imagine an empty bowl in front of you. Next, place whatever fruit you want in the bowl and arrange it however you like. The resulting arrangement is much like the content of our ego-identity (a banana of self-importance here, an apple of personal need there, an orange of hidden agenda thrown in for good measure). The bowl, however, while sharing the same space as the fruit, exists in a completely different domain of influence than its contents. What distinguishes the SupraSelf from the ego-self is that just as the bowl shapes the position and accessibility of the fruit, the SupraSelf shapes the position and accessibility of all our inner faculties and resources. These include not only the self-centered aspects of our ego, but also our virtues, talents, behaviors, mental and emotional maturity and awareness levels, all of which make an immense impact on our life, performance and results. To grasp the impact of the SupraSelf all one need do is try and organize the fruit differently than how the bowl is shaped. For example, no matter how hard I try to arrange the fruit in a flat linear pattern, the contour of the bowl forces it into its curvature, thus deterring my efforts to produce a linear outcome. In other words, regardless of the degree of conviction we apply to producing results, unless our efforts are in alignment with the contour of our SupraSelf we will produce more resistance than results. To clarify this point further consider this assertion. A mediocre self is incapable of producing extraordinary results. Only those who tap into their superlative character have what it takes to lead themselves and others into extraordinary outcomes. 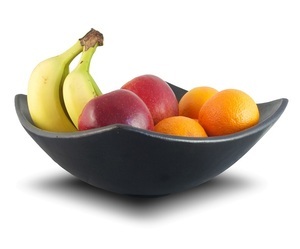 The difference between a fruit bowl and the SupraSelf is that the bowl is cast into a single inanimate shape, whereas the SupraSelf is an alive, dynamic container capable of spontaneous reshaping. The extraordinary power it possesses comes from its dynamic adaptability and the immediate affects its reshaping capabilities have on every area of our lives. If the SupraSelf does indeed play such a crucial role in our life successes, how do we access it and control it? The answer to the second part of the question is simple, we don't. The SupraSelf operates based on surrender not control. Surrender in the sense of "getting out of the way" and allowing our greater self to work through us. This does not mean we relinquish our responsibility for accomplishing our goals, but rather to be mindful that the energy, inspiration and passion arising within us originates from a greater source than our own will or ego. Conversely, the answer to the first part of the question is not as simple in that accessing the SupraSelf requires a vigilant practice of surrendering our ego's identity associations, including its indulgent beliefs, opinions and agendas and its incessant need for credit, blame, entitlement and control. Until our "ego bowl" is empty, there is too much clutter in our space to make contact with the SupraSelf. Allow me to clarify this by expanding on the fruit analogy. Imagine clutching in each arm two or three huge shopping bags filled with fruit and trying to pass through a narrow doorway. Until we free ourselves from our "ego baggage" we are literally blocked from gaining entrance to the SupraSelf. The good news is that the SupraSelf is just as motivated to make contact with us as we are to connect with it. The first step towards this extraordinary connection is to recognize that there is indeed a greater self dwelling within us and that we can access and leverage it to produce quantum leaps in our life. The next step is to be willing to engage in surrendering our ego's need for self-importance, being in control and playing the "credit/blame game." All the energy we spend on these ego dynamics can be redirected towards coming into alignment with the greater power of our indwelling SupraSelf. The third step is to engage in an ongoing development process in which we partner with a mentor and/or community of awake individuals who practice the ways of the SupraSelf, or comparable disciplines. What are these practices? There are essentially four, 1) Functioning Beyond Reaction, 2) Being at Choice, 3) Accepting Personal Responsibility, and 4) Utilizing the Power of "First Cause." While these four practices require greater explanation, the way to get started with them is to be willing to catch your ego in action, set your pride and certainty of self aside, and explore the deeper aspects of who you are. For as Ralph Waldo Emerson so eloquently once put it, "What lies behind us and what lies before us is tiny compared to what lies within us." For more information about the SupraSelf click here.